Steve Hamilton pitched for the Yankees for eight years and was one of the game’s earliest relief pitchers. He finished with a 3.05 career ERA and a 40-31 record. He was never selected to an All-Star Game and never led the league in a statistical category. 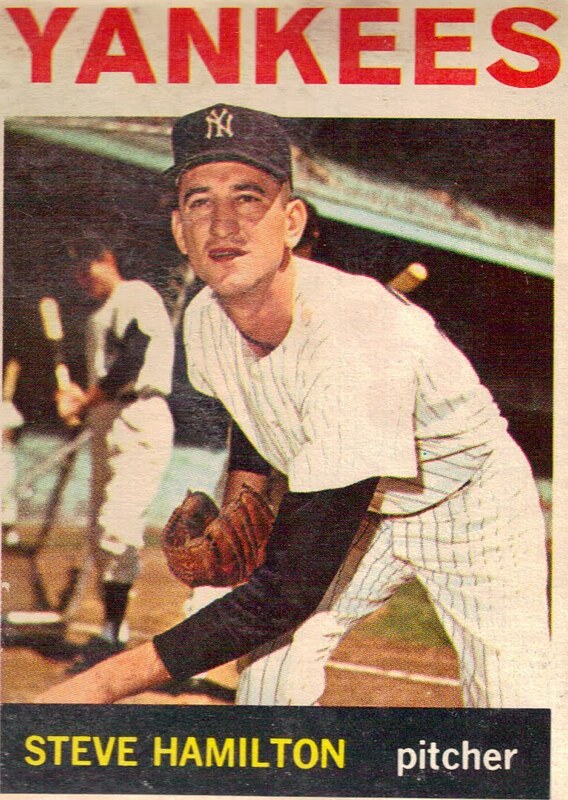 He pitched in two World Series, but the Yankees lost both in the 1963-64 seasons to the Dodgers and Cardinals. Did you know he played in the NBA before debuting for the Indians in 1961?